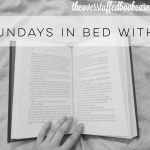 Sundays in Bed With… is a new meme/feature started by my friend Kate at Midnight Book Girl, where we can highlight the book that we’re spending the day in bed reading (or the one we wish we could be reading all day in bed!). I haven’t gotten a lot of reading done this week, but I’m about 2/3 of the way through The Mayfair Moon and I hope to finish it today or tomorrow. And that’s my kitty Siri (named after Sirius Black) hanging out with my Kindle. 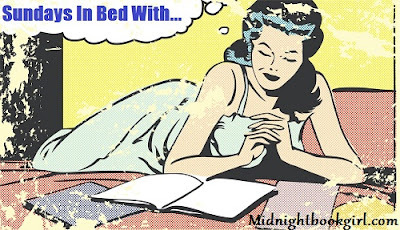 What are you spending this Sunday in bed with? Let me know in the comments, or leave a link to your post if you’re participating in this meme and I’ll stop by your blog! Okay, I’ve been going over and over this whole plagiarism ordeal in my mind ever since I heard about it. I really wanted to stay out of it, seeing as I know none of the parties involved, and I’m also nowhere near a “leader” in this community, so people won’t really be looking to me for my thoughts on the subject. But since I participate in the In My Mailbox meme every couple of weeks, I still felt like I needed to make a choice between staying with the IMM meme or moving on to another. And to be honest, I’m still not sure what I’m going to do. I do not condone plagiarism in any way, yet I really love the IMM meme because I get to share all these awesome books that I’m so excited to read, and I get to see what others have bought/borrowed/received. I wanted to have this all figured out by now, but the situation is just not so black and white for me. I wish it was, though. So, for today at least, I’m still using the IMM title and everything, but I’m not going to link up to The Story Siren. I will still visit the similar posts of other bloggers I follow, whether they’re IMMs or Stacking the Shelves or any other alternative. I’ll take the next couple of weeks to figure out what my long-term decision will be. Maybe it’s just the Team Amity in me, but I just want us all to get along again. I love this community and all the bloggers I’ve met, and it saddens me to see the dividing lines being drawn. 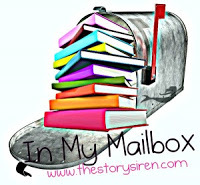 In My Mailbox is a meme hosted by The Story Siren where bloggers can share the books and bookish items they’ve received/bought/borrowed each week. This IMM is for the past 2 weeks. And I bought the eBook of Die for Me by Amy Plum a while back, but it was some kind of special one with extras so it was just delivered to my Kindle this week. What did you guys get lately? Let me know or leave a link to your IMM (or alternative meme) in the comments and I’ll stop by your blog! The Mayfair Moon sounds interesting! As for me and the Story Siren, I've chosen to distance myself from her. It's not that I can't forgive, it's just she still hasn't clearly stated that she plagiarized, and I was disheartened to see defenders of her play the bully card and those that made her out to be the victim. Plus the actual victims got hate mail from some of TSS's most loyal followers. And there's Mailbox Mondays and other memes by bloggers who are choosing to take a hard stand on plagiarism, and I'd rather throw my support and blog posts their way. That said, I have no problem with bloggers continuing to do IMM, as long as they aren't the crazy "Kristi did nothing wrong, she's the victim" peeps. ;) The decision was made easy for me since I wasn't following Kristi, and I don't usually do IMM. Yeah, I definitely can not condone plagiarism. It was just such a sad situation all around and I think a lot of what happened after the facts came out made it all worse. They way I've been feeling about it is what if Bittner had done this, and she had been just as big of a blogger as Kristi? I'd be angry, for sure. I'd be pissed, and I'd be yelling at her about responsibilities and the fact that YA books and book bloggers already have a certain stigma attached to them by some people. But you can bet your last book that I'd be over at her house, trying to console her after all the backlash. I wouldn't dismiss what she did, and I wouldn't excuse it. But I wouldn't kick her out of my life when she needed me like that. She would have lost a lot of my trust, but I would have let her try to earn it back. And eventually I would have been able to forgive her. But since I don't know Kristi personally it's not that easy of an issue for me. I think what she did was completely wrong but I still feel that a lot of people reacted in a horrible manner. I also feel for the ones who were plagiarized – it's awful that people would feel the need to send them hate mail. But I'm sure Kristi has received a lot as well. I'm not saying what she did was right, or that she's the victim, because it was completely wrong and she's NOT the victim here. But I can't condone the way a lot of people have been acting towards her or the actual victims. But after reading my post above, I kind of realized that my mind really has been made. I can't condone plagiarism so I will no longer be participating in the IMM meme. I'll do Mailbox Mondays most likely, or another similar meme. I just wish none of this had happened, and I wish that the choosing sides thing would die down. A lot of bloggers seem to think that if you're not 100% with them, you're against them. And that's really not the case with many bloggers, and it's definitely not the case with me. I'm not against ANYONE. The only people I hate in this world are those wackos from Westboro Baptist Church. But I simply can't condone plagiarism, so I guess I've taken a stand in some way. But I'll still be visiting the posts from bloggers I follow whether they continue to take part in IMM or move on to another meme. Great haul! Code name verity's a read now on netgalley too. hope you enjoy Gracteling as much as I did! I wasn't aware of the scandal until today, so i still have an IMM this week. It's sad really. Yeah, just a sad situation all around. Thanks for stopping by! I got Timepiece from Netgalley too. I own, but have not yet read Hourglass. But I will soon. I can't believe you or Courtney haven't read Delirium yet! You'll like it, I promise. I borrowed Hourglass from a friend last year and LOVED it! I haven't bought a copy yet but I plan on doing so on Tuesday, along with getting a copy of Insurgent! 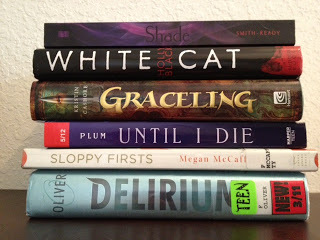 I know – I can't believe I haven't read Delirium yet, either! I'm so excited to, though! I hope people will do whatever feels right to them. 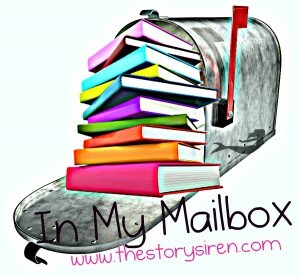 I never felt part of Mailbox but I'm certainly not ditching the Debut Authors Challenge. 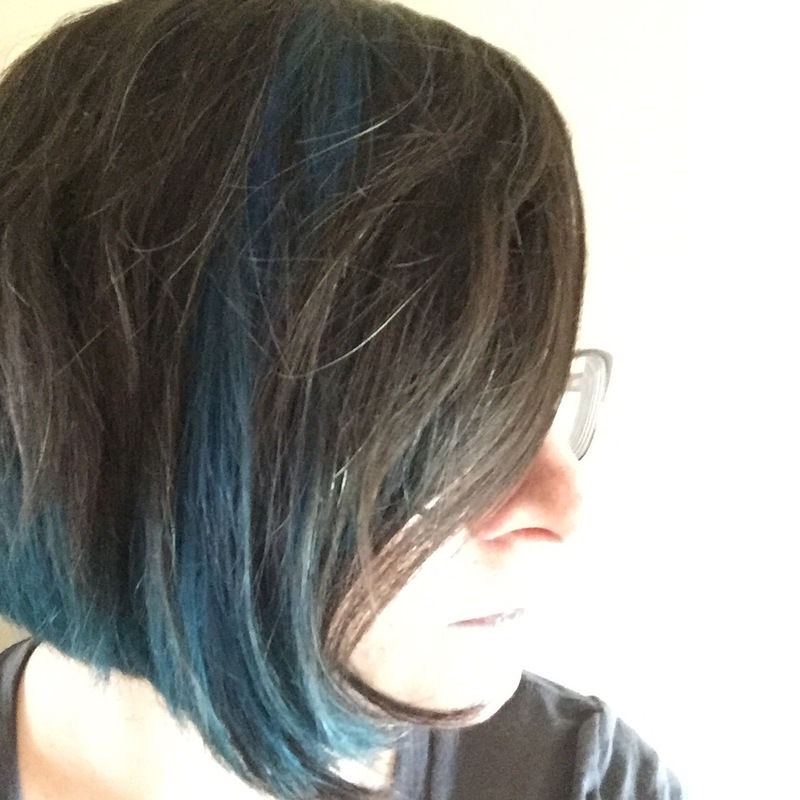 I'll still visit all the same blogs I used to — blogs written by people like you who love talking about books. You won a Goodreads giveaway — yay!!!!!!!! Loved Graceling and Shade. I'm listening to the Curseworkers on audio right now. WOW! What a great mailbox you got, Until I Die looks AMAZING and Mayfair Moon!!! 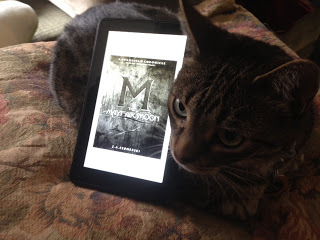 I can't wait to read Mayfair Moon :) Thanks for sharing what you got! I hope you enjoy them all. I just finished The Mayfair Moon – I'll have my review up soon! 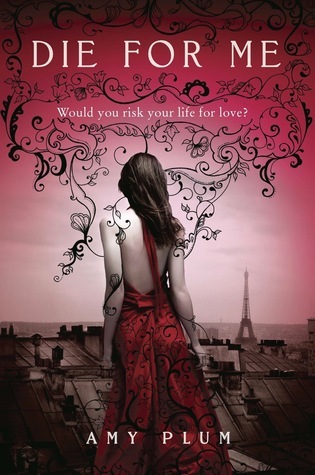 I plan on reading Die for Me and Until I Die soon! Lots of great books!!! 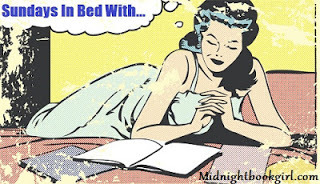 I didn't get a chance to participate in Sundays In Bed With this week, because I was out almost all day, but I did get some reading done in bed when I got back. The Story Siren Debacle is really, really sad. 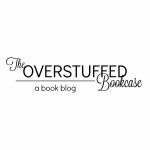 And I don't think it was handled well at all (by both Kristi and other book bloggers). I've never participated in IMM and I'm extra sad, because I was about to start (I love that a lot of bloggers vlog these posts) and now I don't feel like I can. Well, I know there are lots of alternatives out there – like Stacking the Shelves and Mailbox Monday. I normally only participate in IMM every couple of weeks, so I have 2 weeks to figure out what I'm going to switch to. Mailbox Mondays looks like it's been around for a while, and the host site changes every month, so that's kind of cool. I'm going to spend all day tomorrow doing laundry at my parents house (so I wont have to walk all around my apartment complex and instead can just use their's since I'm still not moving too fast) and reading White Cat! I really want to finish it this week. I hope you have a chance to read it soon! That should be much better than trying to drag all your clothes to your laundromat! Yeah, I hope to read it soon, too!